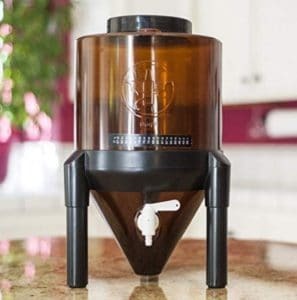 BrewDemon Conical Fermenter (2019 Review) Is It Worth Buying? 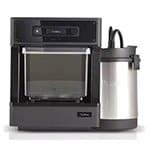 The BrewDemon Conical Fermenter allows you to closely monitor the temperature of your brew so that you retain optimal control over the fermentation process. Its conical design, on the other hand, ensures that sediment resulting from the fermentation process stays at the bottom where it belongs. 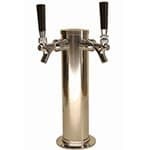 BrewDemon also features a one-of-a-kind venting system that negates the need for an airlock as well as an adjustable flow spigot and stick-on temperature gauge. If you’re looking for a small batch fermenter that will take the guesswork out of the homebrewing process, this should be at the top of your list. The BrewDemon Fermenter is easy to set up and is the ideal vehicle for producing anywhere from 2 to 6 gallons of your favorite homebrew. The designers have worked hard to remove uncertainty from the process so that you’re never at a point where it’s unclear what should happen next. The whole thing comes down to the utility of the conical shaped equipment and the efficiency built into their recipe kits. Those BrewDemon kits use Liquid Malt Extract which means there are fewer ingredients to work with. As with most things in life, the fewer things there are in play, the fewer things there are that can go wrong. The pre-hopped method also helps save space in the fermenter that would normally be taken up by whole or pellet hops. This results in more beer, since those whole hops have a tendency to soak up lots of liquid while they work. It’s also good to know that you can usually bottle directly from this fermenter because its conical shape keeps sediments at the bottom of the product. 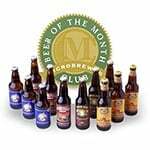 BrewDemon also produces a variety of products related to homebrewing including a hard cider kit, a signature beer refill kit, bottling kit, and others more. 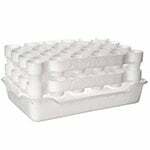 We mention that in order to emphasize the fact that this company knows what they’re doing, and as such, the plastic nature of the fermenter shouldn’t be of any big concern to anyone. It isn’t going to let you down or alter the taste of the finished product in any way that a non-expert will be able to discern. 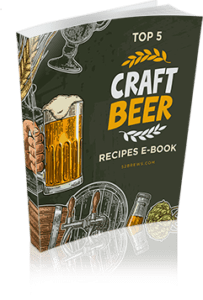 This is one of the best ways for homebrew novices to learn about the beer making process without having to worry about a lot of the technical aspects of brewing right out of the gate. It would be disingenuous to pen BrewDemon reviews without mentioning some of its shortfalls. Nothing is perfect, and that’s especially true when it comes to all-in-one homebrewing kits. 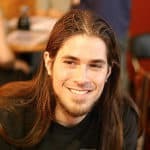 The BrewDemon Craft Beer Kit is going to be too hands-off for those who really want to get into the mechanics of the brewing process, as it can’t really be modified in any meaningful way to fine-tune the process. Also, all-in-one brew kits like this also tend to cost a bit more per batch than it would if you brewed your beer from scratch in the traditional sense. The difference though is not significant, and you can always graduate to a more involved process once you get a good feel for homebrewing from this system. Make sure to check out some of our favorite fermenters here. 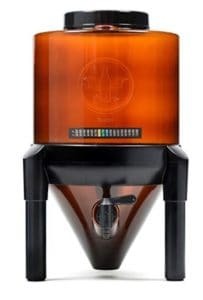 For most homebrew newcomers, however, the BrewDemon conical fermenting system will be more than enough, even if it’s predictable and unlikely to win you a gold medal at the local craft beer festival. 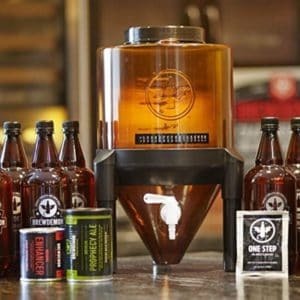 If you are someone who’s curious about the possibilities that homebrewing can offer, the BrewDemon Fermenter is, without a doubt, a great way to get your feet wet while also producing quality brew that you can serve to your buddies. The system is engineered to remove a few steps from the traditional brew process without making you lose sight of what brewing beer is all about. 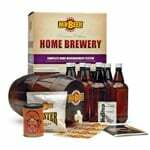 We’d recommend the BrewDemon Signature Beer Kit to anyone interested in homebrewing, as well as to any beer lover who wants to add a fun hobby to their list of leisure activities that they can do on their spare time. It’s fun, it’s interesting, it’s reliable, and, best of all, it’s affordable.